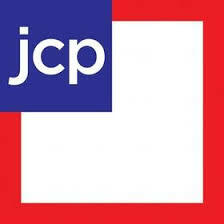 Last week, JCPenney announced that instead of its traditional practice of offering month-long discounts onselect items of 20% to 29%, it will now permanently mark down a large amount of merchandise in stores by similar amounts. How does JCPenney know whether this strategy will work? For that matter, how does any retailer know that its pricing strategy will work? Retail Systems Research (RSR) published an extensive report in April on the state of retail pricing. In the report, 47% of respondents indicated that increased price transparency and the impact of comparative price shopping was a “top 3 strategic pricing challenge”, up from just 11% in 2010. The RSR report also concludes that retailers are engaged in a “race to the bottom”. Why the race to the bottom? Because retailers are engaged in a “stare-down” with consumers, whom they have trained to wait for promotions and clearance pricing. Retailers also know that their customers will price-shop their products with solutions such as Red Laser and will find the product they want at the lowest possible price. Retailers use many methods to try to optimize pricing. But even the industry’s best price optimization solutions use historical data to predict how products should be priced and when they should be marked down. How can retailers know what consumers will pay for products that are new to their assortments? Most retailers I talk to know that there are some items in their assortment that can command higher prices – they just don’t know which items. JCPenney’s strategy is now to mark everything down all the time and hope that the markdowns are enough to motivate purchase behavior. Sounds like a “race to the bottom” to me. The solution seems obvious - ask the consumer! The consumer is the one ultimately pulling the purchase trigger. The consumer is also the one price-shopping, looking at competitive products and evaluating various channels through which he or she can get the best price. Furthermore, the consumer knows what a product is worth in each region of the country, and the price an item will bear under differing economic conditions. The consumer knows – so why not ask them? If we agree we should be asking consumers, the challenge is… how? You need to ask enough of the right consumers to get valid data. Today’s online methods combined with predictive analytics can now enable retailers to get pricing input from thousands of relevant consumers on hundreds of products in as little as 72 hours. We recently worked with a retailer who was assessing pricing for several core items in its Men’s assortment. Comp sales in the core products had not kept pace with other assortment choices and the retailer was considering a lower price on core products to drive additional unit sales in the category. The retailer wanted to know if consumers still found the items desirable and what price would drive additional sales dollars. The Merchandising VP was willing to reduce prices by 20% to drive more sales but was concerned about giving away margin. First Insight provided this capability using our “What Would They Pay” online game with our New Product Pricing Platform. The retailer was reassured from the “model price” generated by our system, combined with the consumer comments, that the core items still maintained high consumer demand. They were surprised, however, when First Insight’s proven technology suggested a 20% price increase. The retailer instituted the price increase suggested by First Insight’s platform across North America. Sales improved 5.3% and margin improved 8% over previous expectations. I invite you to read our white paper “Determining Entry Price Points Using Consumer Insight” – it presents a step-wise approach to avoiding the “race to the bottom”. You can also view our 15-minute recorded webinar “Pricing With Insight”, which gives an overview of our pricing capabilities.